Is your style classic elegance or glitzy glam? 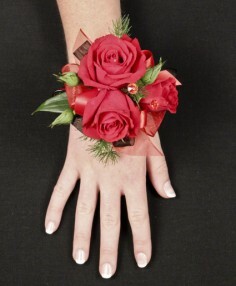 Whatever your style, let GREENE THINGS FLORAL & GIFTS create a one-of-a-kind prom corsage to enhance any dress. Whether it's for youself or a date, we are here to help you choose the right colors and flowers to create the perfect corsage for you! 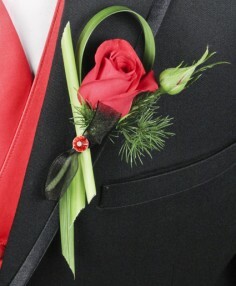 GREENE THINGS FLORAL & GIFTS can help you select the perfect flower boutonniere when choosing one for prom. From the classic rose, to something completely custom, we can do it all. Simply shop online, give us a call or stop by our store in Rutherford for personal assistance in choosing your boutonniere. 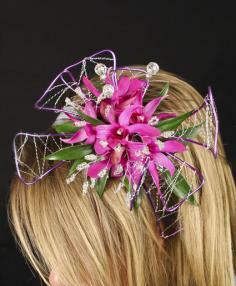 GREENE THINGS FLORAL & GIFTS can create the perfect hairpiece or hand held bouquet to enhance your prom night experience. Using flowers, we can match your prom style and colors. So remember, if you're looking for prom accessories in Rutherford, GREENE THINGS FLORAL & GIFTS is the place to be!